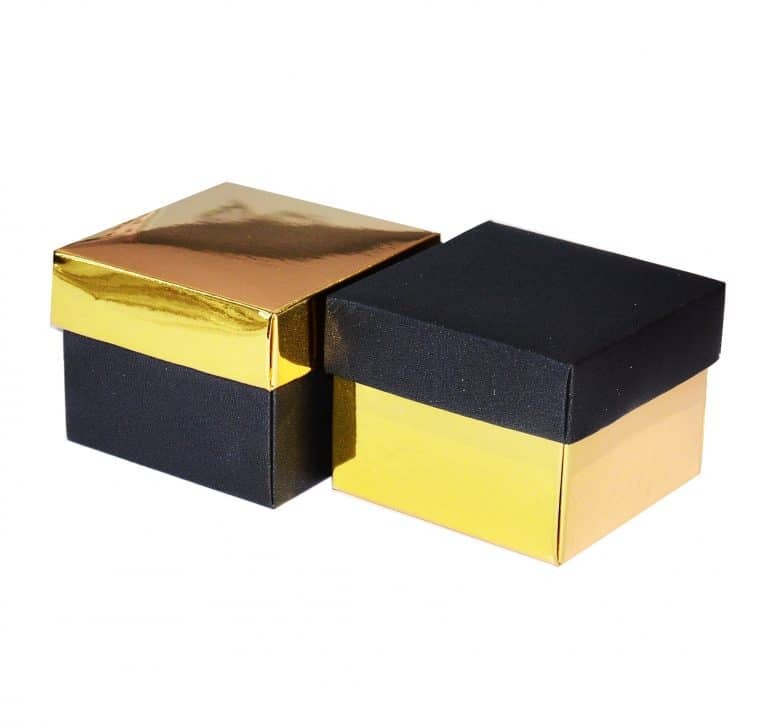 Lovely favor boxes are perfect for holding little goodies. 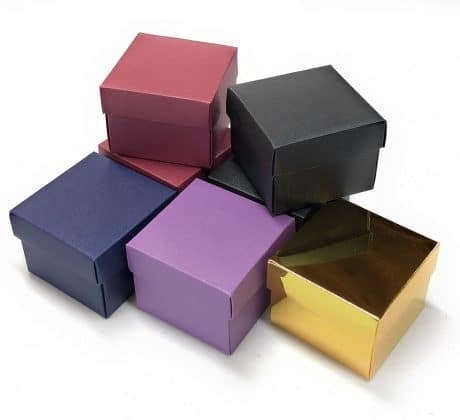 Wedding party favors boxes are great for wedding, birthday, baby shower party, bridal shower, anniversary, and more. Package includes 12 gold gift boxes. Gift boxes come flat. 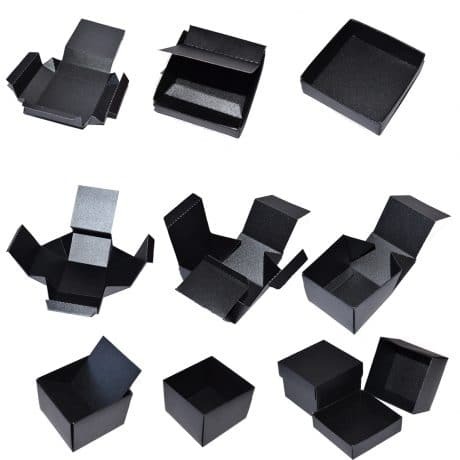 They are quick and easy to fold. Favor box is made of metallic foil cardstock and black pearl cardstock.